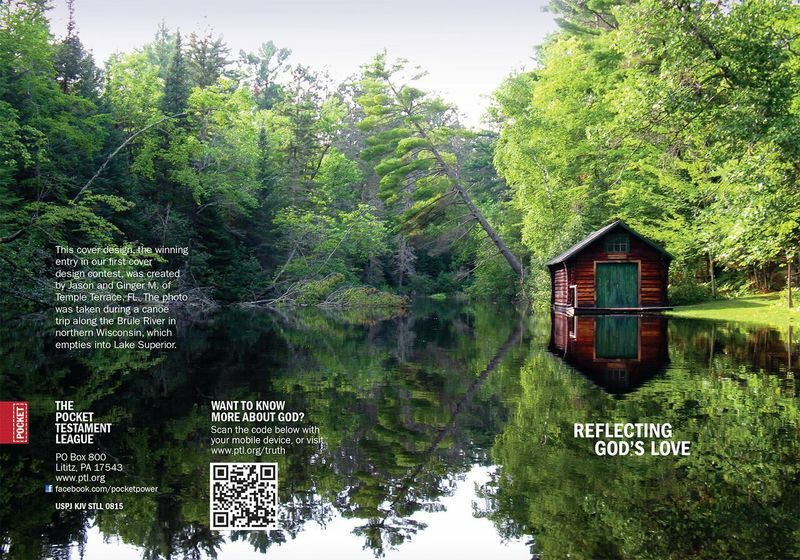 This serene Gospel cover is great for sharing with those that enjoy fishing and our great lakes. This cover was chosen by members as the winning entry in our first Gospel cover design contest. The winners asked that we make it available in the King James version, so we're pleased to add another KJV Gospel of John. Includes a Plan of Salvation and a decision page where readers can record the date of their salvation decision. This cover design, the winning entry in our first cover design contest, was created by Jason and Ginger M. of Temple Terrace, FL. The photo was taken during a canoe trip along the Brule River in northern Wisconsin, which empties into Lake Superior.